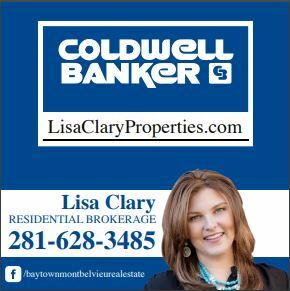 Lisa Clary has received multiple awards for customer services and for sales volume. She is a local to the Baytown area and is very knowledgeable about the area. She has served on the Planning and Zoning committee and various other boards in the area. She is a supporter of the schools, community organizations, and the area little league. She is great negotiator and always ready to help everyone.